As a young investor, you’re probably aware of the investment vehicles that have the best chance of helping you obtain financial liberation. Or, at the very least, allows you some financial freedom. Buying real estate and land development should be considered at or near the top of your investment goals. 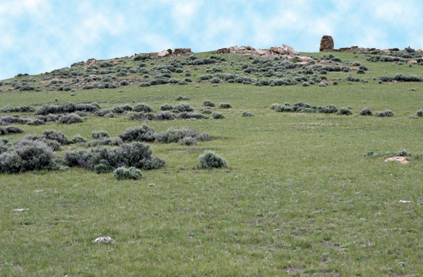 Since land prices tend to rise as the years go by, getting in on the ground floor with pristine Wyoming ranchland affords you great flexibility in the future and many opportunities for the present. What Does Wyoming Land Have to Offer? The personal pride of ownership ranks high on the list of benefits to young investors, just like those who have picked their plot of choice on the vast Wyoming countryside. A ranch is a quintessential part of some versions of the American Dream. Especially for those wanting to move away from the hustle and bustle of city life to a place that is more in tune with the pleasantness of Nature. You can go from imagining the pride of owning your own ranch to making your dream into reality. For those who are looking even further into the future, what better place to retire than on your own property in Cheyenne, Wyoming? Enjoy the serenity of being away from it all, while knowing the amenities of modern life are comfortably nearby – without being suffocated by big city life. Buying land is like owning a piece of the future. The Brooks Companies are real estate developers that have been enabling people to secure their piece of America for over five decades. This established land development company has ranch parcels available in New Mexico, Arizona, and Wyoming. No matter which stage in life you are in, you can reap the rewards of buying land. Contact a friendly Brooks Companies representative to learn more about this opportunity.